The Race for Paradise: An Islamic History of the Crusades (Oxford and New York: Oxford University Press, 2014). In 1099, when the first Frankish invaders arrived before the walls of Jerusalem, they had carved out a Christian European presence in the Islamic world that endured for centuries, bolstered by subsequent waves of new crusaders and pilgrims. The story of how this group of warriors, driven by faith, greed, and wanderlust, created new Christian-ruled states in parts of the Middle East is one of the best-known in history. Yet it is offers not even half of the story, for it is based almost exclusively on Western sources and overlooks entirely the perspective of the crusaded. How did medieval Muslims perceive what happened? 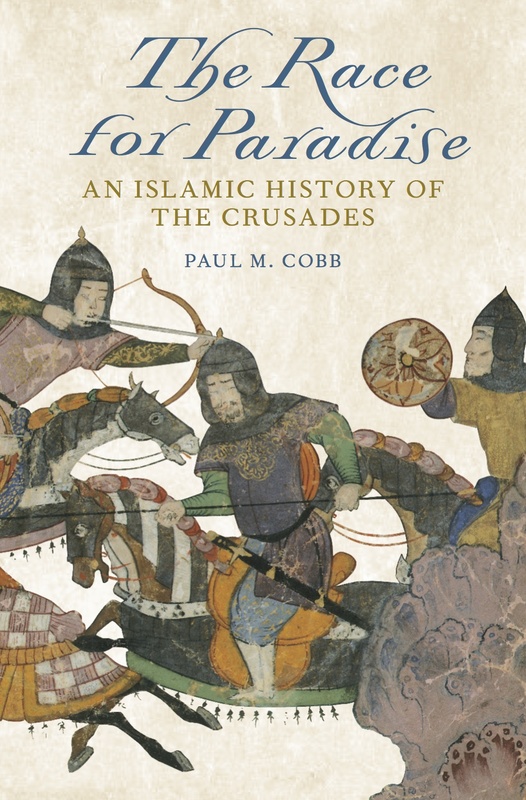 In The Race for Paradise, Paul M. Cobb offers a new history of the confrontations between Muslims and Franks we now call the "Crusades," one that emphasizes the diversity of Muslim experiences of the European holy war. There is more to the story than Jerusalem, the Templars, Saladin, and the Assassins. Cobb considers the Arab perspective on all shores of the Muslim Mediterranean, from Spain to Syria. In the process, he shows that this is not a straightforward story of warriors and kings clashing in the Holy Land, but a more complicated tale of border-crossers and turncoats; of embassies and merchants; of scholars and spies, all of them seeking to manage a new threat from the barbarian fringes of their ordered world. When seen from the perspective of medieval Muslims, the Crusades emerge as something altogether different from the high-flying rhetoric of the European chronicles: as a cultural encounter to ponder, a diplomatic chess-game to be mastered, a commercial opportunity to be seized, and as so often happened, a political challenge to be exploited by ambitious rulers making canny use of the language of jihad. An engrossing synthesis of history and scholarship, The Race for Paradise fills a significant historical gap, considering in a new light the events that distinctively shaped Muslim experiences of Europeans until the close of the Middle Ages.